We are really excited that we will be holding our annual Christmas workshop for children on Sunday 9th December at 2:30pm. 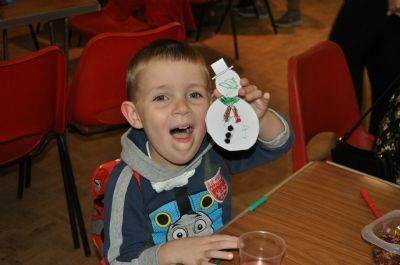 Children from the age of 4 upwards are welcome to come and join us and make a whole range of exciting Christmas crafts and there is always a delicious Christmas treat to make too. 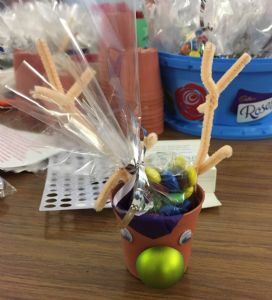 There is a small charge of £4 per child and we ask that all children bring with them a named carrier bag or small box for them to put their creations in. Children can be left with us and we ask all parents to return by 4:15pm to join with us all in a short, informal and fun Christingle service in the church. Other family members are very welcome to come and join us for the service too. The whole afternoon will finish by 4:45pm. To enable a swifter and smoother registration on the day, we are now asking you to please preregister if you know your children will definitely be coming. The form can be found here and can then be returned to the church office on a Tuesday, Wednesday or Friday morning or put through the door of the Vicarage - 7 Church Road, West Ewell, KT19 9QY. Alternatively, it can be emailed to our administrator. You will also be able to register on the day, but we would really appreciate you completing this form in advance and bringing it with you if possible. On the day we will collect your £4 and give you a wristband to put on each of your children to complete the registration process. We really hope you will be able to come and join us, if you have any questions please do contact the church office.